A tad late with this May update, but better late than never, right?! 2 lots of dough made – We made pizza again this month, it’s definitely becoming a regular feature on our monthly menus. I also made some morning rolls, which I realised I haven’t written up yet, so these will appear soon. I promise. We both love a big bowl of pasta, no matter the occasion, season or time of day pasta is always on the cards! I’m sure we’ve mentioned in the past how amazing the Mumbles’ lasagna is and we’ve actually made a fish lasagna in the past (not that I can find the post, oops) but when I spotted a fish pesto version I knew we would be making it and hooray the opportunity presented itself at the weekend. My reasoning for making such a dish? The fact that pesto and pasta are basically staples in our London flat – we probably have it for dinner or lunch once a week as it’s super-easy and we ALWAYS have the ingredients in stock. Eat and fall in love! So it looks like summer might actually be making an appearance – finally! This makes the timing of this post pretty perfect. Today I wanted to share some smoothie recipes with you. Fi always makes smoothies, especially after a run, but it’s not something I ever do. The main reason for this is that all smoothies I come across (both shop bought and recipes) contain banana and I hate the taste of banana. I swear if something has the hint of banana in then I will sniff it out. I think they use the banana as a binding ingredient or something so it’s in practically every drink. So I basically steer clear of smoothies all together. 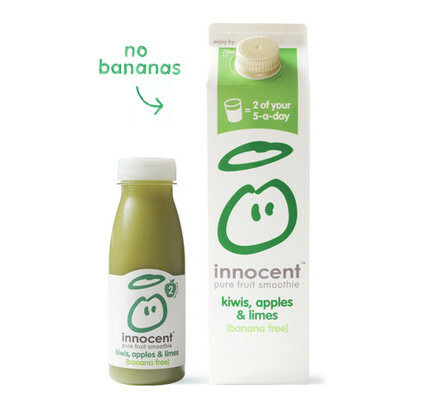 The only one that I do drink is Innocent’s kiwi, apple and limes as it contains no banana – whoop whoop for me! Although i’ve just never bothered to make them in case they turn out badly. That is until I received a message from my youngest sister saying ‘try this smoothie, just made it. It’s delicious and there’s no banana’. She knows me so well. So of course at the first opportunity I grabbed the ingredients and got blending. The result was delicious and therefore I am sharing it with you lovely people. Now simply drop all the ingredients into a blender and whizz up. Pour into a glass add a straw and enjoy. As I mentioned above Fi always makes smoothies. Here’s her go to recipe. Add everything to a blender and blitz away. What about you guys do you have any delicious smoothie recipes? Do let us know as we’d love to try some different things.